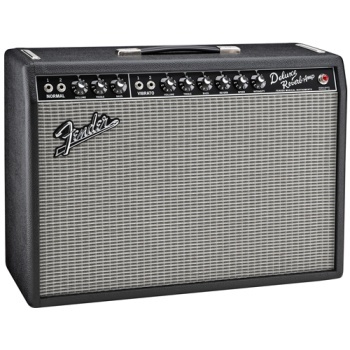 Played on countless hit recordings for decades now, the mid-’60s Deluxe Reverb is a timeless Fender classic and one of the most indispensable workhorse guitar amps ever made. Moderately powered and producing a full, snappy and crystalline tone revered in studios from Muscle Shoals to Abbey Road and on stages worldwide, it’s a must-have tone machine. Today, the ’65 Deluxe Reverb is still one of the coolest amps around, with the fantastic sound and vintage mid-’60s style still prized by rock, blues and country players everywhere. A classic then and a classic now.